The idea of BBM on Android isn't a new one, as rumors of the messenger service going to Android as well as iOS have been swirling since 2011. Today at BlackBerry World, BlackBerry officially announced that the killer feature of the BlackBerry OS for the past decade will go cross platform. With this announcement, it's clear that the rumored "unified Google messaging service", as well iOS' iMessage, have some serious competition. With Google's Messaging Service still vaporware and iMessage being platform dependent, BBM has a small window with which to grab users. According to The Verge: Heins said that his company aims to deliver a "fully featured" BBM experience on rival smartphone operating systems. "We're starting with messaging and groups, but we'll bring voice, screen share, and of course, channels later on,". 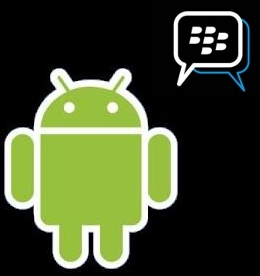 The report goes on to say that BBM on Android, iOS will be free on the Google Play and Apple App store.